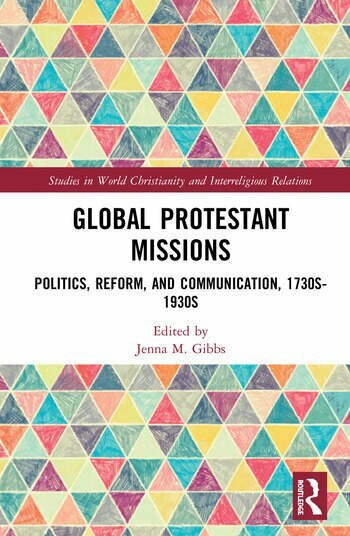 The book investigates facets of global Protestantism through Anglican, Quaker, Episcopalian, Moravian, Lutheran Pietist, and Pentecostal missions to enslaved and indigenous peoples and political reform endeavours in a global purview that spans the 1730s to the 1930s. The book uses key examples to trace both the local and the global impacts of this multi-denominational Christian movement. The essays in this volume explore three of the critical ways in which Protestant communities were established and became part of a worldwide network: the founding of far-flung missions in which Western missionaries worked alongside enslaved and indigenous converts; the interface between Protestant outreach and political reform endeavours such as abolitionism; and the establishment of a global epistolary through print communication networks. Demonstrating how Protestantism came to be both global and ecumenical, this book will be a key resource for scholars of religious history, religion and politics, and missiology as well as those interested in issues of postcolonialism and imperialism. Part II: Nationalist, Imperialist, and Reform Politics. Part III: Global Communications, Print, and Modernity. Jenna M. Gibbs is Associate Professor of History at Florida International University, USA. She is the author of Performing the Temple of Liberty: Slavery, Theater, and Popular Culture in London and Philadelphia (2014) and The Global Latrobe Family: Evangelicalism, Slavery, and Empire, 1750s-1850s (forthcoming). During the academic year of 2018-2019 she will be a fellow-in-residence at the German Historical Institute in Washington D.C.